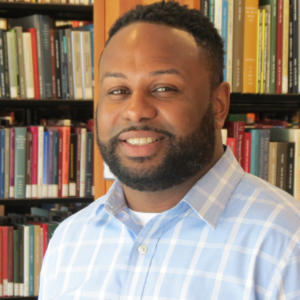 Dr. Desmond Upton Patton is an assistant professor at the Columbia School of Social Work and a Faculty Affiliate of the Social Intervention Group (SIG) and the Data Science Institute. His research utilizes qualitative and computational data collection methods to examine how and why youth and gang violence, trauma, grief and identity are expressed on social media and the real world impact they have on well-being for low-income youth of color. – Developing an online tool for detecting aggression in social media posts in partnership with the Data Science Institute at Columbia. Dr. Patton’s research on Internet Banging has been discussed on several media outlets, including the Chicago Tribune, USA Today, NPR, Boston Magazine, ABC News, and Vice; it was most recently cited in an Amici Curae Brief submitted to the United States Supreme Court in the Elonis v. United States case which examined the issues of interpreting threats on social media. Before coming to Columbia in July of 2015, Dr. Patton was an assistant professor at the University of Michigan School of Social Work and School of Information. He received a BA in Anthropology and Political Science, with honors, from the University of North Carolina- Greensboro, an MSW from the University of Michigan School of Social Work, and a PhD in Social Service Administration from the University of Chicago.